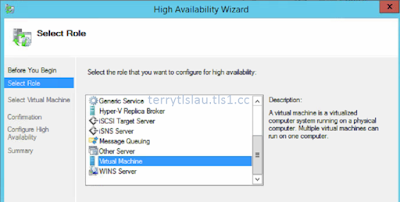 After configuring a Hyper-V cluster on Windows Server 2012 or Windows Server 2012 R2, we should use Failover Cluster Manager to create a high availability virtual machine. If we use Hyper-V Manager of one of cluster nodes, a virtual machine doesn't appear on Failover Cluster Manager because the virtual machine isn't high availability. Before converting an existing machine, make sure it stored on a shared path of the cluster. 1. 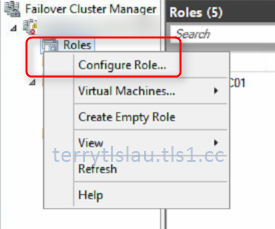 To convert an existing virtual machine to a high availability virtual machine, Right-click Roles > Configure Role on Failover Cluster Manager. 2. On "Select Role" window, select Virtual Machine and then click Next. 3. 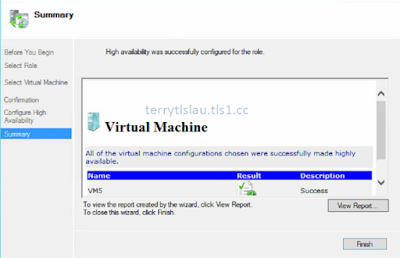 In "Select Virtual Machine" window, check the virtual machine name and then click Next. 4. On "Confirmation" window, click Next. 5. On "Summary" window, click Finish. 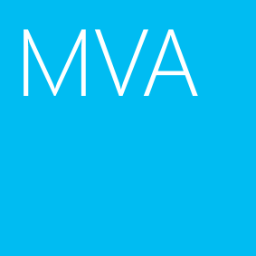 As a result, the virtual machine has been converted to a high availability virtual machine within the cluster. 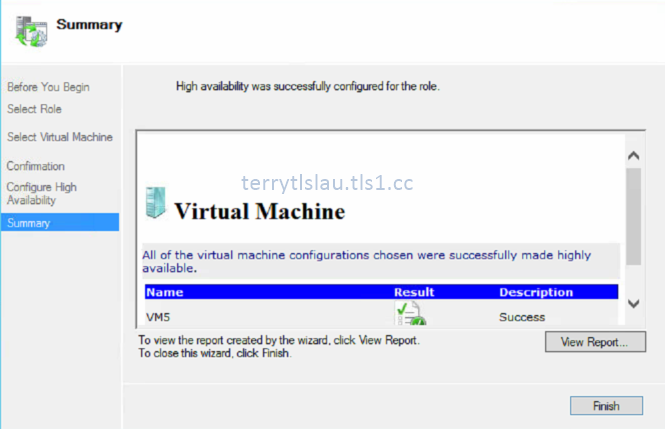 We can perform Get-VM <VMName> | Add-ClusterVirtualMachineRole to complete the above task in a same cluster node.